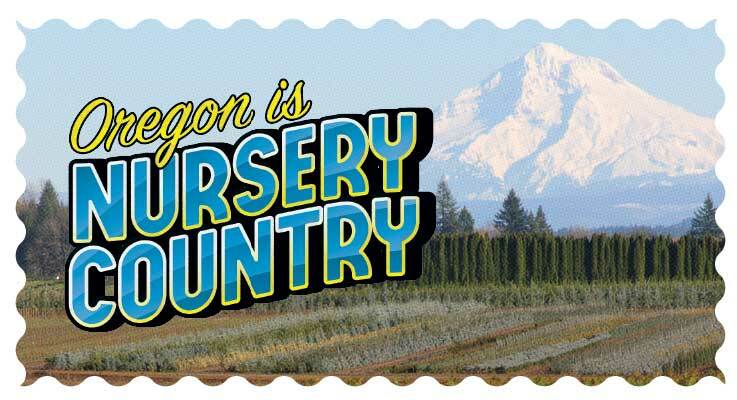 Oregon truly is Nursery Country. For evidence, one could look to the numbers. The state has 61,099 acres in nursery production — more than any other state. According to the 2014 USDA Census of Horticultural Specialties, Oregon is the nation’s top producer of coniferous evergreens, deciduous shade trees, deciduous flowering trees, bare root nursery products and B&B nursery products, and is third in containerized nursery products. In 2016, nursery and greenhouse products reclaimed their place as Oregon’s top grossing agricultural product, selling more than $909 million worth of material, ahead of cattle, hay, milk and grass seed. We thought you might like to meet the people behind these outstanding numbers. Terra Nova Nurseries Inc. began with four plant-loving friends who had a dream, and a revolutionary idea to back it up. KCK Farms Inc. started with three brothers who grew up working on their cousin’s farm, and wanted that same life for themselves. Russell’s Nursery was born when a family friend advised a young farmer to take a good look at the market potential of nursery crops. And Amethyst Hill Nursery came to be after a young couple decided they wanted to escape the corporate world and apply their skills to something new. It hasn’t been easy, but these four ownership groups have built successful businesses through hard work, ingenuity and market agility, always keeping the customer first. Along the way, they’ve tapped into Oregon’s natural advantages for nursery production. The climate is mild, but cold enough in the winter to allow for dormancy, which is essential to spring growth. The growing season is long, which means plants grow faster and can be shipped sooner than from other states. Water is available due to the generous rainfall in the state’s western third. And despite the state’s rainy reputation, summer sunshine is abundant. Each grower is a little different, but linking them all is a true sense of community. 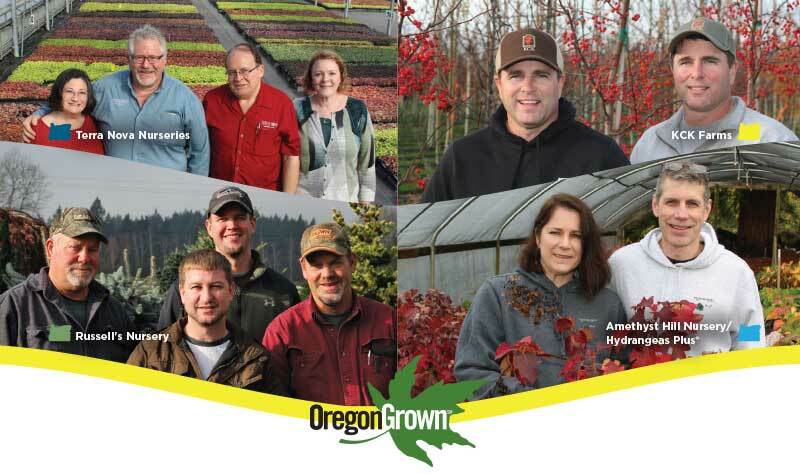 Through their trade association, the OAN, these growers and hundreds of others know each other, share their knowledge and work together to ensure that the state remains a good place to grow great plants. Ultimately, that strength benefits buyers most of all, and those buyers are everywhere. More than 75 percent of Oregon’s nursery products are shipped out of state. As you explore these stories, you’ll discover that Oregon has a strong diversity of growers, with diverse plant material to match. You can search for most anything on www.NurseryGuide.com and find out who grows it.